Endless Legend: Shifters has finished its time in closed beta and is finally ready to launch on April 7. Winter is coming, as the remaining Starks would say. In the meantime, have a look at our list of PC’s best strategy games. 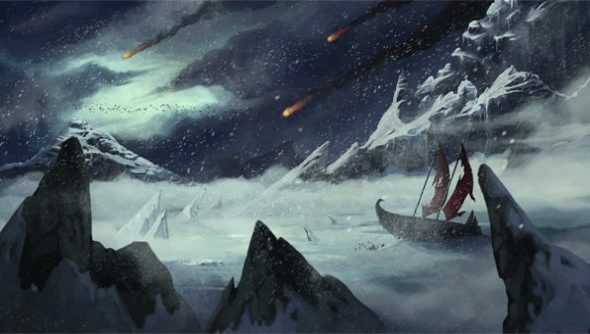 Endless Legend: Shifters adds a new faction, the Allayi – a dwindling race with a bad case of the winter blues, shifting with the seasons from neighbours who would pop round with some spare sugar to frothing murderers who would stab you for having your music too loud. To make the new faction more interesting, there’s now a richer winter season to take advantage of the race’s duality, with a new resource, the Pearls of Auriga, now scattered around the map. This resource can be used to gain advantages and hinder enemies, influencing the seasons themselves. Factions can spend their pearls to acquire blessings on the Altar of Auriga, a new building that can be built in your city. Winters will have a few surprises in store, too, as areas of land that were previously bodies of water could suddenly become frozen wastes, allowing you to march your troops and potentially surprsise your enemies. Will you be grabbing the expansion when it releases on April 7? Let us know why you love Endless Legend in the comments.